AngelA perfect being times seen and often heardWatches over ones left behind and others that are kindHelp those in need and others that strayPurity and innocence is regainedthrough fire and brimstone this remainsOne who steps in your life's pathBlinders are taken off first look as free as can beGrowth understanding a new love of life that isincomprehensible but feels right floating on anatural high without a question whyRescue me from stress and strife from everydaylife a place where I am one with the familiar and embrace the unknownWhether a spiritual or physical being that is sent to aid meMy AngelSilver Sphere is an emotionally driven work that covers many diverse aspects of life, such as love, pride, and sensuality. Using the paper as his easel and the pen as his paintbrush, PHantasm creates vivid mental imagery of his life experiences and draws us into his world. 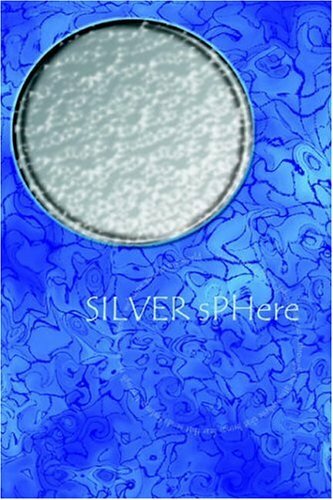 He wears many masks to portray the outpouring of emotions shared through Silver Sphere. He encourages us to see life in a different light, whether it's simple, emotional, or thought provoking-it's the world in which we all live.